Located along the bustling Leather Lane Market in London EC1 district is 18 Leather Lane - a character building steeped in history. With listed features and internal brick walls, we offer desirable meeting rooms at affordable prices. Our portfolio of rooms is accompanied by handy amenities such as a large studio, a lounge, and co-working spaces. "My whole experience was such a pleasure. My first enquiry was attended instantly & most professionally by Jamie, it also excelled as I was made to make sure I was happy. I was provided with amazing help for my meeting with a client I was seeing for the first time who equally was appreciative of the support & help given." People come to Remark! Events for its vibrant and inspiring space that is perfect for meetings, training events, staff away days or for any function you have in mind. but big enough to deliver. Jamie and his team are passionate in their quest to ensure all clients are 100% happy. Stunning character building with it's listed features, exposed brick walls and a huge crystal chandelier - it simply can't fail to impress and inspire your delegates. 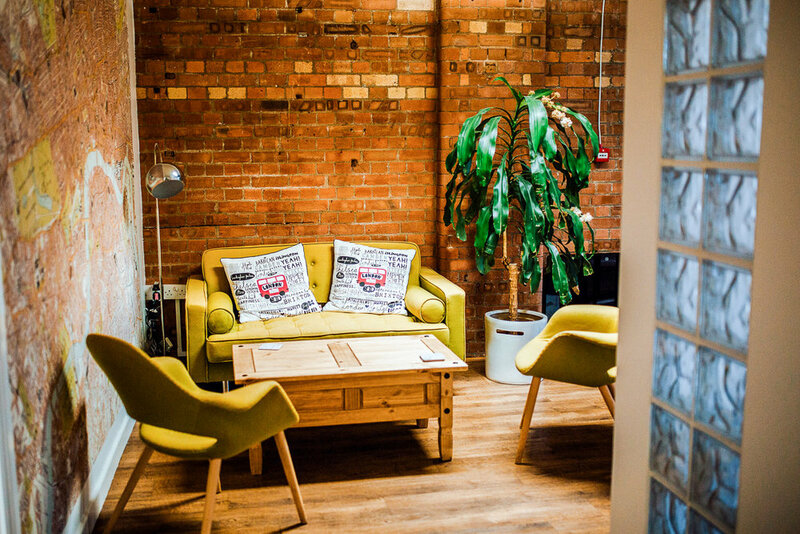 Throughout the building there is ample space for those seeking a break-out area to brainstorm, confer or enjoy a cup of tea.